China recently announced the completion of a civil airport at Gunsa in north-west Tibet. China has, of late, been developing infrastructure in Tibet at a very rapid pace, which includes the construction of roads and railways as also other projects like communication networks, electricity grid and oil pipelines. The most remarkable engineering feat achieved in Tibet was the construction and commissioning of the highest railway in the world in July 2006, the Qinghai-Tibet Railway, running 1,956 kilometers from Gormo in Qinghai province to Lhasa. While the basic infrastructure projects have apparently been built in order to integrate the isolated ‘Roof of the world’ with the Chinese mainland and mainstream, the construction of a large number of airports in the sparsely populated and inhospitable Tibetan plateau lends an altogether different dimension. The Gunsa Airport, construction of which commenced in May 2007, is expected to start operations on July 1, 2010 as the fourth civil airport in Tibet. The test flights were successfully conducted from October 13 to 18, this year. The airport has a 4,500 meter long runway and is located more than 4,000 meters above sea level in Ngari Prefecture. Ngari is located about 4,500 meters above sea level in the north-west Tibet, about 1,600 kilometers from the capital city of Lhasa. In April this year, China also announced the commencement of construction of another new airport in Xigaze, at a cost of US Dollars 70 million. Work on the airport, at an altitude of 3,782 meters, would be finished in two years. The airport is being designed to handle 230,000 passengers and 1,150 tonnes of cargo annually by the year 2020. Xigaze, the second-biggest city in Tibet, has a population of 680,000 and has various ancient Buddhist monasteries. These developments come on the heels of the commissioning of an airport at Nyingchi (Linzhi) in October 2007. The airport at a much lower altitude of 2950 meters above sea level, is equipped with night landing and all weather facilities. China has also undertaken the expansion of the Qamdo (Bangda) airfield, the highest airport in the world, located at 4300 meters above sea level. Lhasa, the capital, is serviced by an international airport at Gongga, about 50 kilometers to its south. It is fairly obvious that the increased air connectivity in Tibet is being developed at a break-neck speed. The last three years have seen the completion of two airfields in Tibet- Nyingchi and Gunsa, and one in close proximity at Kangding in Sichuan province. This is the second highest airport in the world after Qamdo in Tibet, with a 4 kilometer runway. The Xigaze airport will also be completed in next two years. There would thus, be five functional airports in Tibet by 2011. The spread of airports at nearly uniform intervals extending right from north-west to south-east, across Tibetan landscape has obvious security implications for India. Tibet has historically been considered as a safety buffer for India, with the mighty Himalayas providing an insurmountable natural barrier. However, the network of airfields in Tibet, all along the border, has the potential to render the formidable barrier ineffective. These airports are all capable of operating large civil aircrafts, ostensibly for handling increased tourist traffic in future. Needless to say, the infrastructure raised for civil usage can always be put to equally good military use. Though there are no reports of PLA Air Force units being permanently stationed in Tibet, the annual deployment of J-7 fighter aircrafts for training and area familiarization from Gongga airport during the fair weather from July to October is a regular feature. Nyingchi airfield located just 40 kilometers from the contested Sino-Indian border in Arunachal Pradesh the Gunsa airfield only 90 kms from the disputed territory in northern sector can really be instrumental in rapid force buildup in these sensitive areas. The situation becomes more intricate when viewed holistically along with other infrastructure projects and facets in and around Tibet. For instance, all the above airports are in close vicinity of major military garrisons. Further, the capability of Chinese force projection and subsequent sustenance of operations through timely logistic replenishments would grow manifold when these airports are exploited in tandem with others like Kashi, Korla, Hotan, Yushu, Kangding and Chengdu, all located close to the Tibetan periphery. This integration would enable the Chinese forces to be deployed virtually from anywhere in China, as also significantly extend the reach of the Chinese Air Force over the Indian subcontinent. Though there are reports of the Indian Air Force reactivating some old airfields in northern and eastern sectors and the integrated border roads construction project is in progress, these measures are obviously inadequate, when compared to the scale of Chinese infrastructure developments across the border. It is therefore imperative that a detailed rethink about the security implications of the Chinese infrastructure in Tibet, especially in light of the progressively improving air connectivity, be carried out, so that suitable response strategies and options for future courses of action may emerge. The government is still talking on the development of an engine for Tejas in place of Kaveri. It disintegrated in the test bed due to ineptitude and arrogance. Without an engine, the additional Rs 8000 crore will disappear into a black hole. A K ANTONY, India’s current defence minister, is no doubt an idealist. The compulsive optimist is however a misfit in India’s public life. Like an earlier predecessor George Fernandez, he is noted for leading an austere life free of ugly ostentation. But, unlike Fernandez, he refuses to entertain high-society ‘friends’ who do deals with defence vendors “for the sake of the party.” No wonder, the soft spoken Keralite was not tolerated by his party men as the State’s chief minister and was kicked upstairs to New Delhi. The defence minister gleamed after witnessing the flight display of two light combat aircrafts which are being “pioneered” by India. Designed by Bangalore-based Aeronautical Development Agency, the LCA is touted to be the most compact light weight supersonic, multi-role and combat aircraft in its class in the world. However, all it has got after 27 years and billions of rupees is only the name ‘Tejas’ (Radiance). The name was given in the regime of former Prime Minister Atal Behari Vajpayee, who posed for cameras in the ‘cockpit’ of a stationary ‘fighter plane’! Pleased at the look of a twin-seater trainer version prototype (PV5) and another belonging to the limited series production-2 of the LCA program, Antony declared, “All the doubting Thomases have proved to be wrong!” He said the Tejas “will certainly get the initial operational clearance (IOC) by the end of 2010” and will have the final clearance by the end of 2012. Maybe, he does not expect to be around as MoD till then. The budget specifically allocated for the program since 1983 till end-2009 is put at $1.5 billion. It obviously excludes salaries and administrative expenses of the bloated defence-research officialdom. In addition, the Indian Air Force has already been browbeaten to order 20 LCAs and asked to process an order for 20 more even before the product has seen IOC. 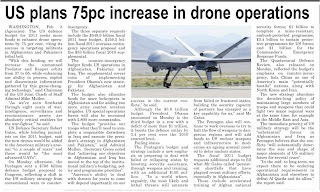 Obviously, the substantial money diverted from real needs of IAF will need to be counted in the costs. More importantly, the estimate does not include expenses in a sister-project Kaveri Engine Program. The brilliant scientists spent decades and imported several tonnes of exotic materials to manufacture the stator and rotor blades of Kaveri. However, ignorance of metallurgical fundamentals in shaping the blades rendered them good only for showcasing and not undergoing rigours of service. Arrogance of tyrannical bosses who refused to acknowledge the blunder resulted in the engine disintegrating and flying off while in the test bed. The development team chose to make somewhat realistic demands for a project of this type and invisible rulers of the country have decided to back the ‘scientists’ through Anthony. He has been allotted an additional budget of $1.6 billion (Rs 8000 crore) of good money to chase the already-sunk bad money. Whatever really reaches the team out of the $1.6 billion after usual ‘overheads’, will only be going into a black hole. For, Antony conceded that his government is still talking with parties abroad for the development of an engine for Tejas. Unless systematically married with an absolutely reliable engine that would be available on long-tem without hitch, an airframe is no more than a coffin. Yet, the good minister apparently believes in the power of prayers and spelt out his utopian dream: “Today I can assure you with confidence....I can declare at last LCA is going to be a reality.” Whether a complex project can make any headway just because a good man strongly believes in the agencies involved in it is anyone’s guess. 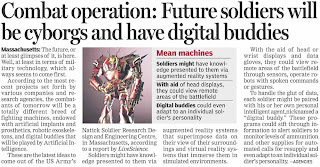 Tejas can become as much a reality as the other giant farce – Maruti – of the ruling dynasty. Even Sanjay Gandhi had completed several make-believe versions of peoples’ car, flaunting which he minted millions. For making a success out of Tejas, another Suzuki has to be roped in to cover up the heist so far. Maybe, Northrop-Grumman or Boeing-VEGA could start from scratch and call it a great Indian success. In absence of such a deal, the Rs 8000 crore that Antony wants to send chasing the earlier Rs 4800 crore will flow into drain, after lining the desired pockets. Despite India's refusal to sign the NPT, the Obama administration is hopeful that New Delhi will pursue longer term goals to diminish the numbers and role of nuclear weapons in global security. Dennis C Blair, Director of National Intelligence in his Annual Threat Assessment of the US Intelligence Community, said as one of the engines of the global economy, India continues to demonstrate the potential for strong growth in 2010 and remains an attractive location for investment. "In keeping with its status as an emerging world power, the Government of India exerts strong leadership in global and regional fora and in important bilateral relationships," he said, adding India has also supported strategic outcomes in multilateral groupings such as the G-20 and Copenhagen. "India's recent decision to participate in the April 2010 Global Security Summit signals a continuation of this trend, as New Delhi is likely to pursue longer terms goals to diminish the numbers and role of nuclear weapons in global security even as the country remains steadfast in its refusal to sign the NPT," Blair said. The US has invited India to in the NPT review meet to be hosted by President Barack Obama in April this year. Russia has said an additional agreement to modernise aircraft carrier Admiral Gorshkov will be signed soon with India as all uncertainties on the issue have been cleared. Russian Security Council Secretary Nikolai Patrushev, who wrapped up his two-day visit to India, said yesterday that his country was interested in enhancing its strategic partnership with India. "Both sides reaffirmed their interest in enhancing our strategic partnership," he told reporters. He said the two sides do not have any major "unresolved problems" and the "dialogue is progressing in a constructive way." On military cooperation between the two countries, he said, "There are no outstanding issues in the Russian-Indian relationship...An additional agreement to modernise aircraft carrier Admiral Gorshkov will be signed as soon as possible because all uncertainties on this matter have been cleared." Patrushev said his agenda included discussion on some topical issues such as regional and international security, primarily in Afghanistan and Pakistan in context of combating international terrorism and drug trafficking. "Russia and India have a united stance on Afghanistan," he said replying to a question on the outcome of the London Conference. The talks, according to Patrushev, also reviewed the situation in Iran and its neighbouring region, and the situation in Iraq. "Both sides expressed satisfaction over the development of our cooperation," he added. 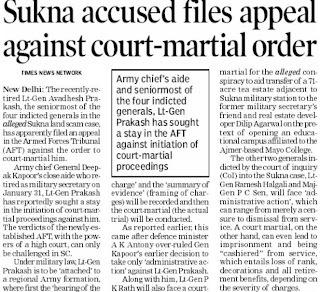 Former Military Secretary Lt Gen Avadesh Prakash, one of the four generals held blameworthy in the Sukna land scam, today moved the Armed Forces Tribunal challenging the court-martial proceedings against him, it is learnt. The matter is scheduled to come up for hearing before the Delhi Bench tomorrow. Lt Gen Prakash, who superannuated on January 31, has been attached to Headquarters Western Command for the purpose of disciplinary action to be initiated against him. He is believed to have challenged the attachment order and associated proceedings, alleging malafide and arbitrariness on the part of the defence ministry. Army chief Gen Deepak Kapoor had directed administrative action against Prakash, but Defence Minister AK Antony had “advised” the chief to initiate disciplinary proceedings. While disciplinary proceedings were ordered against Maj Gen PK Rath, administrative action was ordered against Lt Gen Ramesh Halgali and Maj Gen PC Sen. Earlier, Antony had questioned this disparity. Disciplinary proceedings entail a possible trial by court martial, which is equivalent to a criminal trial by a sessions court whereas administrative action is akin to departmental action. As Military Secretary, Prakash was one of the eight principal staff officers (PSO) at Army Headquarters who control and oversee the administrative, training and logistical aspects of the entire Army. 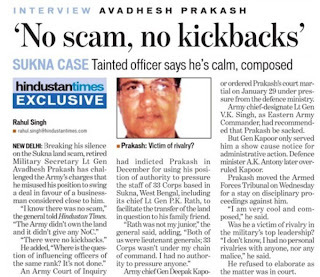 Prakash is the senior-most officer against whom disciplinary proceedings have been ordered. 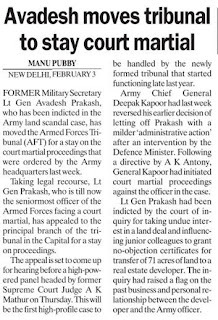 Another lieutenant general who headed the Amy’s supply and transport directorate is also amidst court-martial proceedings, but by virtue of being a PSO, Prakash’s stature was higher. Opinion in the service community over Antony’s “advice” is divided. Some view it as political interference and violation of the Army’s time-tested and established judicial system. Others are of the opinion that the armed forces were subservient and answerable to the elected political executive and as head of the defence establishment, Antony had a legal and moral responsibility to order appropriate action. Further, Section 109 of the Army Act implicitly states that the power to convene a general court martial vested with the Union government or the Army chief or other officers empowered in this regard. Defence Minister A.K. Antony’s renewal of commitment to the Light Combat Aircraft (LCA) programme, following a demonstration of the aircraft’s prowess in Bangalore, marks a shot in the arm for the project that dates back to 1983, and has cost Rs 4,800 crore. The announcement of the additional funding of Rs 8,000 crore is heartening considering that it has been bedevilled with delays and broken promises. The world’s smallest war jet, built indigenously in India, is expected to be the nation’s frontline combat aircraft by 2020. The Indian arms industry has a mixed record in developing armaments; the main battle tank Arjuna became the bloated, ungainly symbol of what not to do. On the other hand, the Prithvi, Agni and Brahmos missiles have been successful, as have some light combat aircraft and the multi-barrel Pinaka artillery system. On balance, there is need for a close look at the way the system functions. Why is there lack of initiative and innovation among personnel at various levels? The over-bureaucratisation of the scientific and engineering establishments is an obvious answer, but the Indian armament industry needs to do a lot in order to come up to the expectations of the end-users. The Aeronautical Development Agency (ADA), which designed and developed the LCA with HAL as its principal partner, was given a major challenge when it was told to develop a fourth-generation fighter aircraft indigenously. It has done so, with varying degree of success, in providing the digital fly-by-wire flight control system, landing gear, airframe and undercarriage, etc. The engine, however, is imported from General Electric. The ADA’s gains have been impressive, and while it is too early to celebrate, ADA deserves congratulations for delivering the LCA. At the same time, we must remember that there have been cost overruns and delays, the indigenisation is not 100 per cent, and it will be years before full certification is given. However, it is closer to delivering on its promise than it has ever been before. New Delhi’s India International Centre (IIC) has the reputation of being a location for quiet dialogue and discussion. Yet, at a widely publicised conference on India-Pakistan relations at the IIC on January 10-12, raw emotions got the better of reasoned dialogue. The police had to be called in, as people who had been forced to flee their homes in the Kashmir valley by terrorist organisations, which were allegedly led by some of those participating in the dialogue, gave vent to their emotions and disrupted the proceedings. 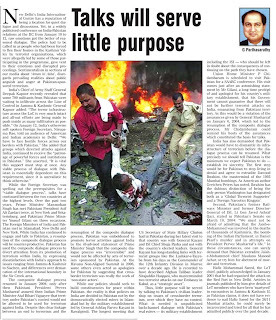 Sentimentalism in sections of our media about “Aman ki Asha”, disregards the prevailing realities about public anguish and anger at Pakistan-sponsored terrorism. India’s Army Chief Gen Deepak Kapoor recently revealed that some 700 militants from Pakistan were waiting to infiltrate across the Line of Control in Jammu and Kashmir. General Kapoor added: “The terror infrastructure across the LoC is very much intact and all-out efforts are being made to push inside as many infiltrators as possible”. On January 12, India’s otherwise soft-spoken Foreign Secretary Nirupama Rao told an audience of American and Indian academics in Delhi: “We have to face hostile forces across our borders with Pakistan, although we have consistently stressed our support to the advancement of democracy, growth of civil society and economic development in an atmosphere of peace in Pakistan”. While the Foreign Secretary was laying out the prerequisites for a “viable dialogue process”, there has, in fact, been a continuing dialogue between the two countries at the highest levels. During the past two years, Prime Minister Manmohan Singh has met President Zardari twice, at New York and Yekaterinburg, and Prime Minister Gilani on three occasions. The Foreign Ministers of India and Pakistan met in Islamabad, New Delhi and New York. While India has continued to engage and talk to Pakistan whenever a suitable occasion arises, a resumption of the “composite dialogue process” will be counterproductive. Pakistan has used the dialogue to divert attention from its promotion of terrorism within India by expressing dissatisfaction with India’s approach to issues ranging from Jammu and Kashmir to Siachen and differences over the demarcation of the international boundary in the Sir Creek area. The “composite dialogue process” was resumed in January 2004 only after President Musharraf assured then Prime Minister Atal Bihari Vajpayee that “territory under Pakistan’s control” would not be allowed to be used for terrorism against India. Despite this clear linkage between an end to terrorism and the resumption of the composite dialogue process, Pakistan was encouraged and emboldened to step up terrorist activities against India by ill-advised statements by Prime Minister Manmohan Singh that the dialogue process was “irreversible” and would not be affected by acts of terrorism sponsored by Pakistan. At the Havana Nonaligned Summit in 2006, some people even acted as apologists for Pakistan by suggesting that cross-border terrorism was really the work of “non-sate actors”. 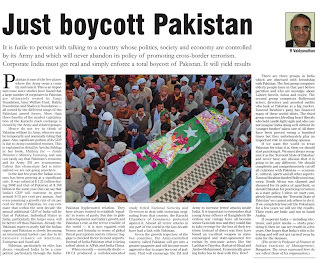 While our policies should seek to build constituencies for peace within Pakistan, the hard reality is that policies on India are decided in Pakistan not by the democratically elected rulers in Islamabad but by the military establishment led by Gen Ashfaq Pervez Kiyani in Rawalpindi. The longest meeting that US Secretary of State Hillary Clinton had in Pakistan was with General Kiyani and ISI Chief Shuja Pasha, and not with the country’s elected leaders. General Kiyani is known to have had long-standing links with terrorist groups like the Lashkar-e- Toiba from his days as the Commander of the 12th Infantry Division in Murree over a decade ago. He is recorded to have described Afghan Taliban leader Sirajuddin Haqqani, who masterminded two terrorist attacks on the Indian Embassy in Kabul, as a “strategic asset”. 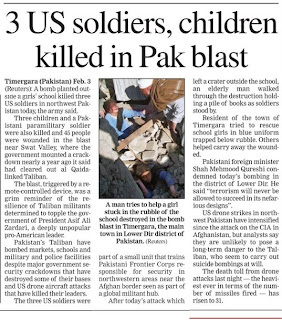 Thus, little purpose will be served by talking to Pakistan’s civilian leadership on issues of cross-border terrorism, about which they have little knowledge and no control. What is needed is “back channel” and unpublicised dialogue with Pakistan’s real rulers — its military establishment, including the ISI. The Home Minister, Mr P Chidambaram, is scheduled to visit Pakistan for a SAARC conference. His visit comes just after an astonishing statement by Pakistan Prime Minister Yousuf Raza Gilani, a long time protégé and apologist for his country’s military establishment, that his government cannot guarantee that there will be no further terrorist attacks on India, emanating from Pakistan territory. As this would be a violation of the assurances given by General Musharraf on January 6, 2004, which led to the resumption of the composite dialogue process, Mr Chidambaram could remind his hosts of those assurances, which constituted the basis for the resumption of the dialogue process. India has also demanded that Pakistan will have to dismantle the “infrastructure of terrorism” before the dialogue process can be resumed. What precisely should we tell Pakistan is the minimum we expect Pakistan to do, to establish their sincerity? The first step would be for Pakistan to get away from living in denial and agree to extradite Dawood Ibrahim, the mastermind of the 1993 Mumbai bomb blasts, from Karachi. As American author Gretchen Peters has noted, “Ibrahim has the dubious distinction of being the only person Washington has designated both a “Global Terrorist Supporter” and a “Foreign Narcotics Kingpin”. 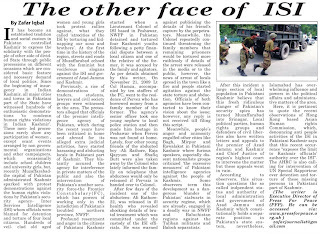 Secondly, Pakistan’s then Railway Minister and former Director- General of the ISI, Lt-Gen Javed Qazi, stated in Pakistan’s Senate on March 10, 2004: "We must not be afraid of admitting that the Jaish-e-Mohammed was involved in the deaths of thousands of Kashmiris, the bombing of the Indian Parliament, in Daniel Pearl's murder and in attempts on President Pervez Musharraf's life." 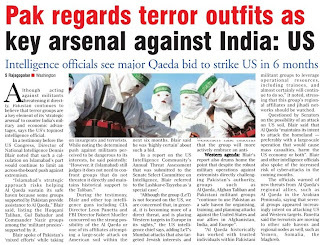 In these circumstances, one can surely demand that Pakistan should extradite JeM chief Maulana Masood Azhar, or try him for abetment of murder and terrorism. Hafiz Mohammed Saeed publicly acknowledged in January 2001 that he had organised the attack on the Red Fort in New Delhi. Articles in journals published by him have given details of members of the Lashkar-e-Toiba who had been “martyred” in encounters in Jammu and Kashmir. If, as Pakistan claims, it does not have evidence to nail Hafiz Saeed for the Mumbai attacks, he could surely be incarcerated and tried for all that he has admitted publicly over the past decade. On August 24 last year, the Ministry of Defence (MoD) dressed up failure as achievement when--almost nine years after India bought the T-90 tank from Russia--the first 10 built-in-India T-90s were ceremonially rolled out of the Heavy Vehicles Factory near Chennai. No reasons were given for that delay. Nor did the Ministry of Defence reveal the T-90's ballooning cost, now a whopping Rs 17.5 crore. On November 30, 2006, the MoD told the Lok Sabha that the T-90 tank cost Rs 12 crore apiece. Parliament does not yet know about the 50 per cent rise in cost. The story of the T-90 has been coloured by deception and obfuscation from even before the tank was procured. Business Standard has pieced together, from internal documents and multiple interviews with MoD sources, an account of how the Indian Army [ Images ] has saddled itself with an underperforming, yet overpriced, version of the Russian T-90. The deception stemmed from the army's determination to push through the T-90 contract despite vocal opposition from sections of Parliament. Former Prime Minister H D Deve Gowda [ Images ] argued--allegedly because a close associate had a commercial interest in continuing with T-72 production--that fitting the T-72 with modern fire control systems and night vision devices would be cheaper than buying the T-90. Deve Gowda correctly pointed out that even Russia's [ Images ] army had spurned the T-90. To bypass his opposition, the MoD and the army reached an understanding with Rosvoorouzhenie, Russia's arms export agency. The T-90 would be priced only marginally higher than the T-72 by removing key T-90 systems; India would procure those through supplementary contracts after the T-90 entered service. Excluded from India's T-90s was the Shtora active protection system, which protects the T-90 from incoming enemy missiles. This was done knowing well that Pakistan's anti-tank defences are based heavily on missiles. Other important systems were also pared. The MoD opted to buy reduced numbers of the INVAR missile, which the T-90 fires. Maintenance vehicles, which are vital to keep the T-90s running, were not included in the contract. All this allowed the government to declare before Parliament that the Russian T-90s cost just Rs 11 crore, while the assembled-in-India T-90s were Rs 12 crore apiece. The MoD did not mention that these prices would rise when the supplementary contracts were negotiated. Nor did it reveal that India's pared-down T-90s barely matched the performance of the Pakistan Army's [ Images ] recently acquired T-80 UD tank, which India had cited as the threat that demanded the T-90. Worse was to follow when the initial batch of 310 T-90s entered service (124 bought off-the-shelf and 186 as knocked-down kits). It quickly became evident--and that too during Operation Parakram, with India poised for battle against Pakistan--that the T-90s were not battleworthy. The T-90's thermal imaging sights, through which the tank aims its 125mm gun, proved unable to function in Indian summer temperatures. 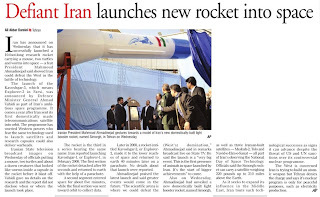 And, the INVAR missiles assembled in India simply didn't work. Since nobody knew why, they were sent back to Russia. Even more alarmingly, the army discovered that the T-90 sighting systems could not fire Indian tank ammunition, which was falling short of the targets. So, even as a panicked MoD appealed to the DRDO and other research institutions to re-orient the T-90's fire control computer for firing Indian ammunition, Russian ammunition was bought. With Russia playing hardball, none of the supplementary contracts have yet gone through. The TI sights remain a problem. The army has decided to fit each T-90 with an Environment Control System, to cool the delicate electronics with a stream of chilled air. None of the world's current tanks, other than France's [ Images ] LeClerc, has such a system. The American Abrams and the British Challenger tanks fought in the Iraq desert without air-conditioning. India's Arjun tank, too, has "hardened" electronics that function perfectly even in the Rajasthan [ Images ] summer. Nor has the MoD managed to procure the Shtora anti-missile system. The Directorate General of Mechanised Forces now plans to equip India's eventual 1,657-tank T-90 fleet with the advanced ARENA active protection system, for which it has budgeted Rs 2,500 crore in the Army Acquisition Plan for 2009-11. The greatest concern arose when Russia held back on its contractual obligation to transfer the technology needed to build 1,000 T-90s in India. But, instead of pressuring Russia, the MoD rewarded it in 2007 with a contract for 347 more T-90s. In an astonishing Catch-22, the MoD argued that the new purchase was needed because indigenous production had not begun. 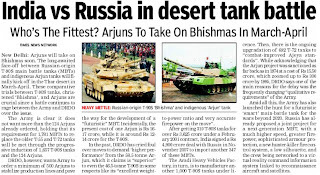 Next month, when the T-90 is measured against the Arjun in comparative trials, the T-90s' drawbacks will not be evident. But, as officers who have operated the T-90 admit, these could be crucial handicaps in battle. "It is for these reasons that I have consistently argued for supporting the Indian Arjun tank," says General Shankar Roy Chowdhury, former army chief and himself a tankman. "Another country can hold India hostage in many ways. We need to place an order for several hundred Arjun tanks so that economies of scale can kick in and we can bring down the price even further." If the Arjun performs strongly in next month's comparative trials around Suratgarh and Pokhran, that order could be in the offing. In the shadow of Guantánamo Bay and Abu Ghraib, the default liberal view of US troops in Iraq was often of stoned, cowardly rednecks shooting innocents for sport. But when I spent time as an embedded reporter with the US army in Baghdad, the soldiers I met were generally brave, quick-witted and compassionate. It was, at the very least, a rebuke to oversimplification. I wasn't quite sure what to expect last week on an excursion with the Indian army. The faces, languages and generous hospitality of India were the last thing I'd anticipated in rural Democratic Republic of Congo. But with more than 4,000 troops on the ground, they're the biggest contingent of the biggest UN peacekeeping operation in the world. People mocked George Bush for boasting that his Iraq war "coalition of the willing" embraced Albania, Kazakhstan and Tonga. This UN peacekeeping force – known by the French acronym Monuc – is no less inclusive. The blue helmets are worn by 18,500 troops from countries such as Bolivia, Cameroon, Ghana, Guatemala, Jordan, Mongolia, Nepal, Pakistan, Paraguay, South Africa and Uruguay. Their motto: "Whatever, whenever, wherever. Always present." Apparently the US and Britain were unavailable. There have been nearly 100 Monuc fatalities, but it's generally said that the greatest risks are accidents or malaria rather than enemy fire. The entire operation cost $1.3bn (£815bn) a year and, given the infamous failures of past UN peacekeeping missions, the troops are allowed to open fire when necessary. But Monuc is garrisoned behind barbed wire and high walls near Goma airport and, a year ago, the city looked set to fall to the warlord Laurent Nkunda, leader of a rebel force that repeatedly routed Congo's army. Monuc fired some token shots in response, but nobody here believes it would have dared stand in Nkunda's way if he had chosen to take the city. At the Monuc compound, I met Major Rohit Sharma, 35, from Delhi, who in a military briefing explained that in North Kivu province there is on average one soldier for every 1,100 civilians or on for every 12 square kilometres (2,965 acres). "I'll not say it's hunky dory," he said. "But it's all relative. I've been here six months and the change I've seen is considerable." I hitched a ride with Sharma in a UN jeep with such a low roof that I was unable to sit upright. I tried curling into a foetal position, but on the rutted roads, bumped my head enough times to conclude that I should have done combat training inside a tumble dryer. As we rolled through the hills and villagers turned to look, Sharma said: "Every time a child waves to me, it gives me a lift and makes me want to pursue the mandate." We travelled 150km (93 miles) north of Goma and stopped at military bases along the way. They all had an Indian flavour. There were Indian flags and shrines, Indian food and furniture, and a military etiquette and deference to tradition that somehow evoked popular notions of the British Raj. At every opportunity I was offered a cup of tea, perhaps with biscuits, and we spoke a common language, English, in this otherwise officially francophone country. One night in Kanyabayonga, a buffet was prepared in the mess tent and I sat with a group of officers. Someone put on a DVD of the film Memento, explaining they were curious because there is now a popular Bollywood remake. There was talk of home, of the bitterly cold winter in Delhi this year, of the excitement of economic miracles in a country that has more people than the whole of Africa. I recalled my brief travels there: dawn light on the Ganges, the beauty of the Taj Mahal at Agra. I imagined the air wobbling before a big red sun. I wondered if these sons of India ever imagined they'd end up in the jungles of eastern Congo. One said: "It's not so different from where we usually operate. The hills look a bit like this. We've had a lot of experience with low-level insurgencies." Sharma added: "It's such a big army, you always take pride in an overseas posting. The unit has to prove itself as one of the best to get sent here." At the base at Kiwanja, home to a unit called the Bodyguard, I found a mess tent elegantly decorated with Asian carpets, ornaments, an antique desk and black and white photographs of campaigns during the first and second world wars. I was shown through to my home for the night, a hut with coffee table books such as Portraits of Valour and Officers' Mess: Life and Customs in the Regiments by Lt Col RJ Dickinson. That evening a white envelope was delivered to my door. It contained a neatly embossed invitation that said: "Col Lakhbinder Singh Lidder requests the pleasure of the company of David Smith to dinner at Bodyguard House at 8.30pm." I joined guests on a clipped lawn under a tent where Lidder was holding court. Plates of Indian canapes were offered by waiters with courtly manners. To my astonishment, Lidder presented me with a commemorative mug bearing the emblems of Monuc and the Jammu & Kashmir Rifles. It said: "Reliving the history. 'Bodyguard' once again in the shadows of 'Kilimanjaro' in east Africa 1918 to 1919 & 2009 to 2010." The presentation, and our handshake, were captured for posterity by a military photographer. The soldiers expressed tentative optimism that their mission is working and violence is slowly ebbing here. But that same night, two people were killed, and more were hospitalised, in a rebel attack on a nearby village. I went back to Goma and said my goodbyes to Sharma. The Indian army in Congo will never seize the international limelight like the Americans and British in Afghanistan. Many people are unaware they are even there. But perhaps a cup of tea should be raised in honour of these unsung tours of duty in the half-forgotten corners of the world.